The extended arm for easy lifting! The Easyhand is an easy-to-use and fast vacuum lifter which can be worked with one hand to handle loads up to 35 kg. It can be manoeuvered easily and with precision with either the left or right hand. 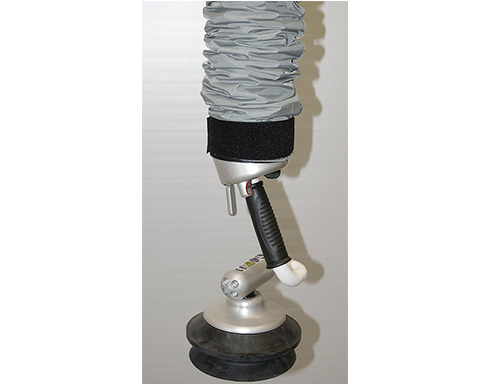 The Easyhand has, as standard, in-built swivel and 90° tilt function. The Easyhand is an operator-friendly and effective vacuum lifter for fast handling of cartons, sacks, board materials etc. 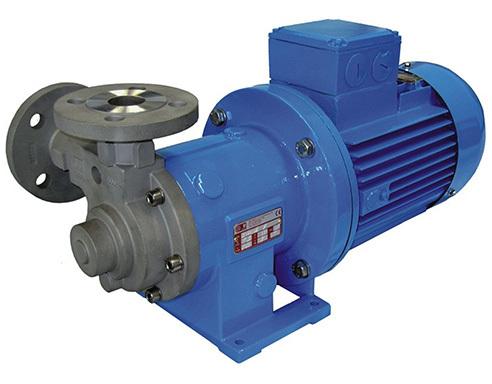 It is available in several different standard versions and can be supplied with a vacuum pump or an ejector kit as the “driving” package. 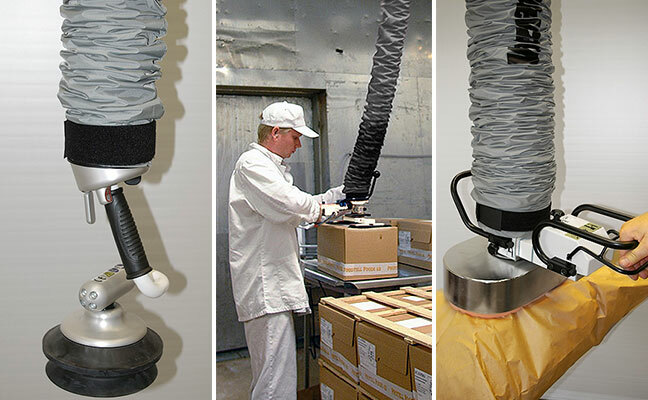 The Easyhand can easily be equipped and fitted with different types of lifting gripping heads but also be amended to meet specific needs and requirements. Ergonomic lifting up to 55 kg! 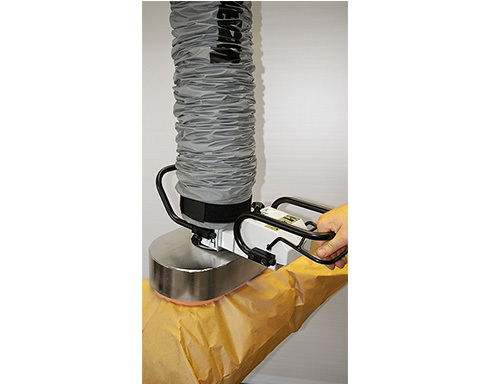 The Easyhand M is a vacuum lifter for loads up to 55 kg. The lifter is designed with a single-hand grip. The lifting and lowering functions are regulated via a control which gives good ergonomics, safety and precision. The large range of standardized grippers and accessories such as swivels, angular toggle joints, quick fasteners, extension parts and elbow joint handles makes it easy to amend the lifter to suit and meet any needs and requirements. 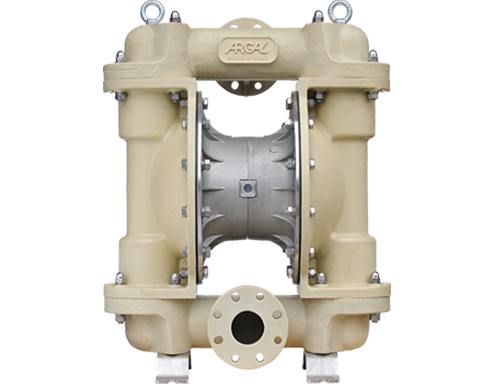 The design aims at creating a minimal level of leakage, which implies secured performance and lower energy consumption. Ergonomic lifting up to 200 kg! The Vacuhand is a vacuum lifter for loads between 5-200 kg. The lifter is designed for a two-hand grip. The lifting and lowering functions are regulated via a simple throttle which gives good ergonomics, safety and precision. The large range of standardised grippers and accessories such as swivels, angular toggle joints, quick fasteners, extension parts and elbow joint handles make it easy to amend the lifter to suit and meet the needs and requirements. 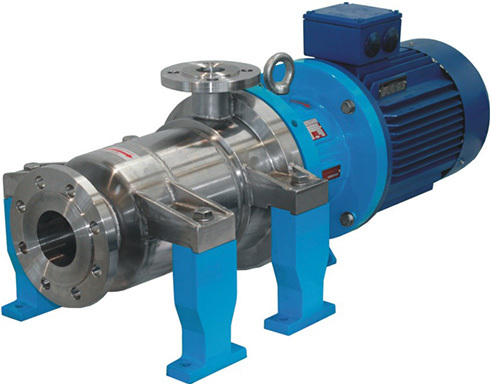 The design is such to achieve so low a leakage as possible, which means that there is a secured performance and lower energy consumption. With controls on the handle it´s easy to adjust the hovering settings with and without load. 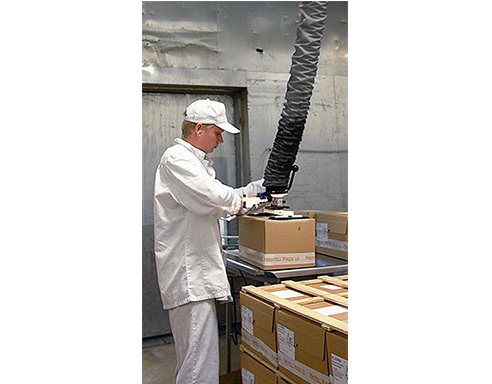 The Vacuhand allows easy handling of a wide range of items, from sacks and carton boxes to board material such as glass, metal sheets and doors.